Members from the club took part in the 2017 Rush St. Patricks Day Parade. 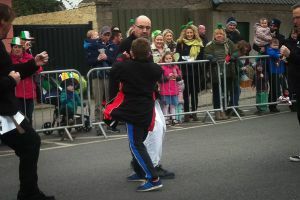 The club did a quick demonstration with Oisín Murphy defending multiple attacks from four different directions. 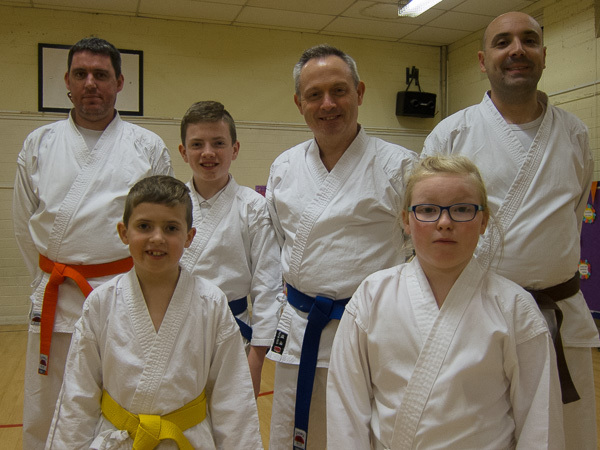 Rush Community Council presented the club with a Rosette for their efforts. 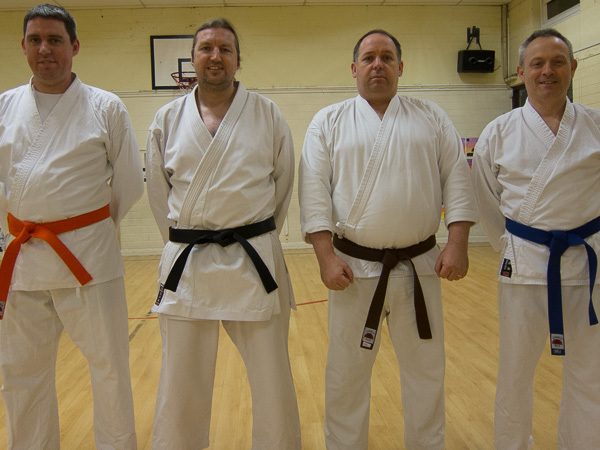 Well done to all our students who graded with Shuseki Shihan Murakami 8th Dan. 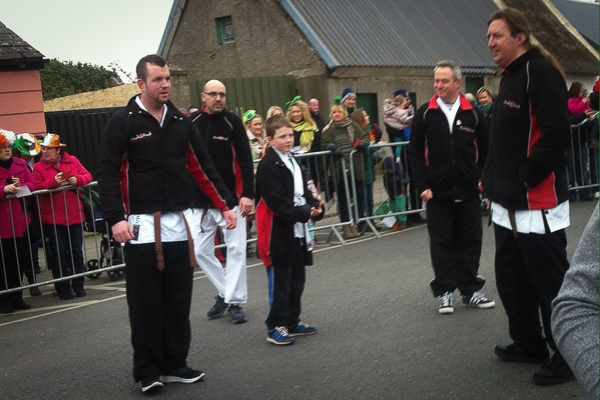 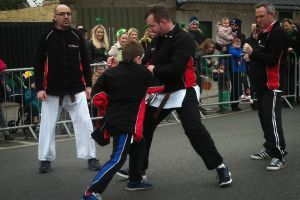 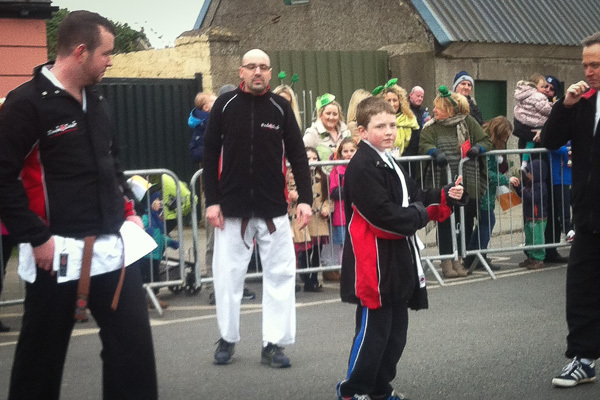 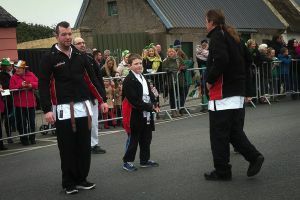 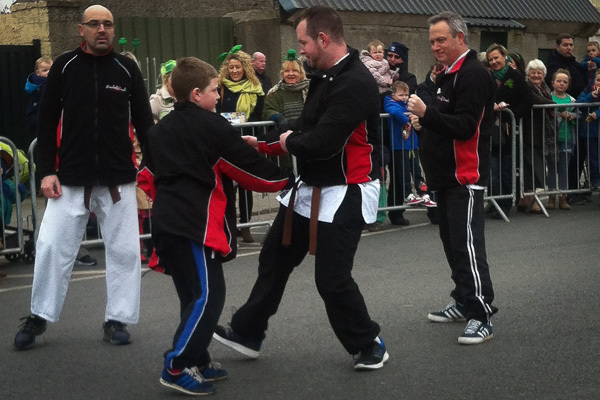 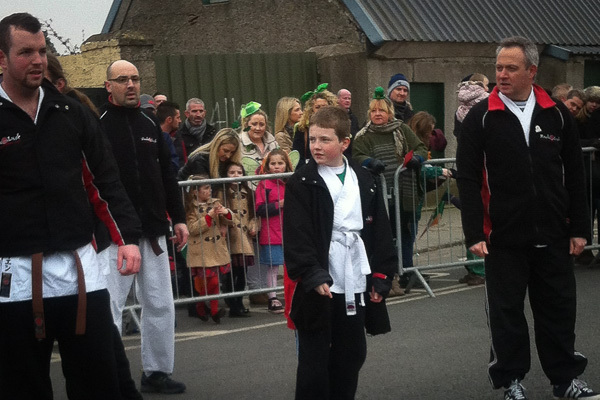 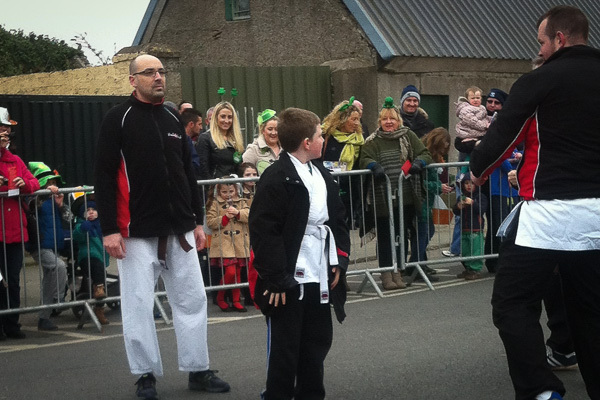 Special congratulations to Paddy Coen who successully passed his Shodan (1st Dan Black Belt) in Cork. 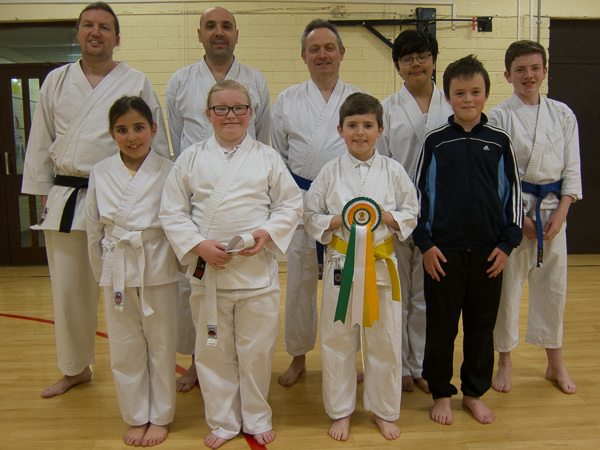 Well done to club members Jaia Kavanagh, Barry Murphy, Eóin Murphy and William Peters who took part in the Kanazawa Cup competition which was held in Clonmel on Sunday June 28th. 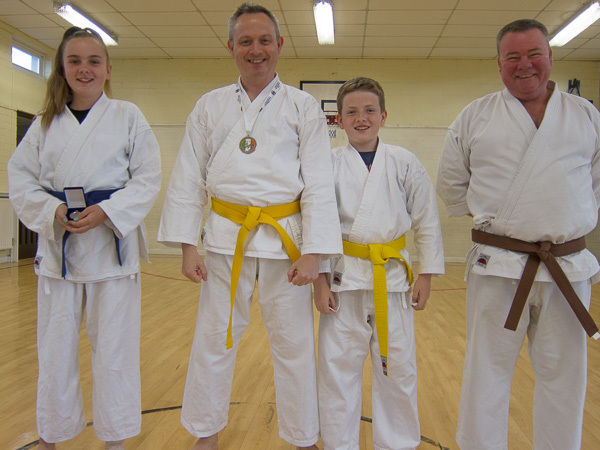 Jaia and Barry won Silver medals in their respective Kata categories. 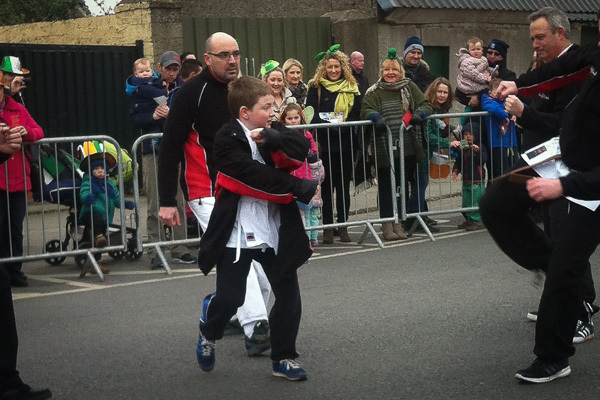 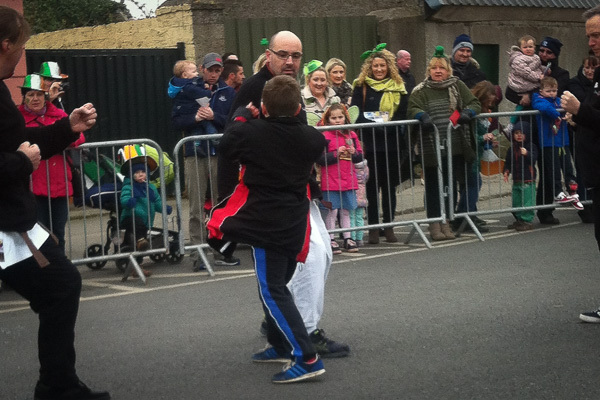 Well done to our club members who took part in the St. Patricks Day Parade on receiving a commendation – Eóin McKenna, Paddy Coen, William Peters, Barry & Eóin Murphy put on a great display in front of the reviewing stand. Eóin Murphy deserves special mention as he was the star of the display taking on the senior club members and showing what our junior members can do.